Home / Blog » What is mHealth? 46% of HCPs say that they will introduce mobile apps to their practice in the next 5 years. 86% of HCPs believe that health apps will increase their knowledge of patients’ conditions. 96% of users think that health apps help to improve their quality of life. 72% of HCPs believe that health apps will encourage patients to take more responsibility for their health. 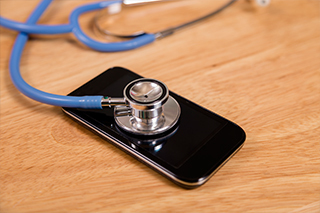 Nine out of ten physicians surveyed say they are interested in mHealth technology. 24 % of physicians surveyed report use of mHealth technologies; of these, half use daily. 38% of physicians surveyed say that “monitoring patients’ conditions and adherence” is a potential benefit of mHealth. 43% of physicians surveyed say that “security and privacy of protected information” is a constraint of mHealth. Three out of four physicians surveyed report Electronic Health Records (EHR) increase costs and do not save time, but 60% think they support value-based care.